Lehe Pruulikoda (Lehe Brewery) is a craft brewery established in 2013 by Gristel and Tarmo to brew refreshing, tasty and original beers. 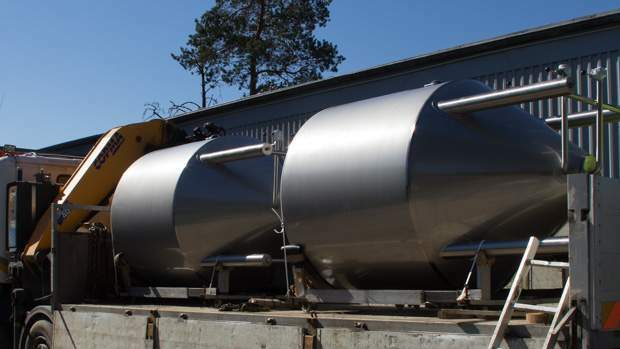 It’s one of Estonia’s first modern craft breweries. Our wide range of beers has found drinkers both in Estonia and abroad. I’m Tarmo, the brewmaster at Lehe Pruulikoda. This story is not my story; it’s a story of tens of thousands of craft beer fans, our partners, and our people. As I happened to witness everything from the very beginning, I have the honor to write it down. In the beginning, there was Ray Bradbury and “Dandelion Wine”. After re-reading this timeless and magical story about childhood, I had an urge to brew dandelion wine on my own. It was September 2009. The days started to grow colder, and the first maples began to show yellow and red. Dandelions are rare at this time of year. Instead of dandelion wine, I decided to brew beer. There were few homebrew shops in Estonia at that time, although one friendly place outside of town sold fermentation buckets and Cooper’s beer kits. So I bought them. From that point on, my memories are a bit chronologically mixed up. In California, Lagunitas IPA, Fat Tire and Anchor Steam forever changed the meaning of beer for me. 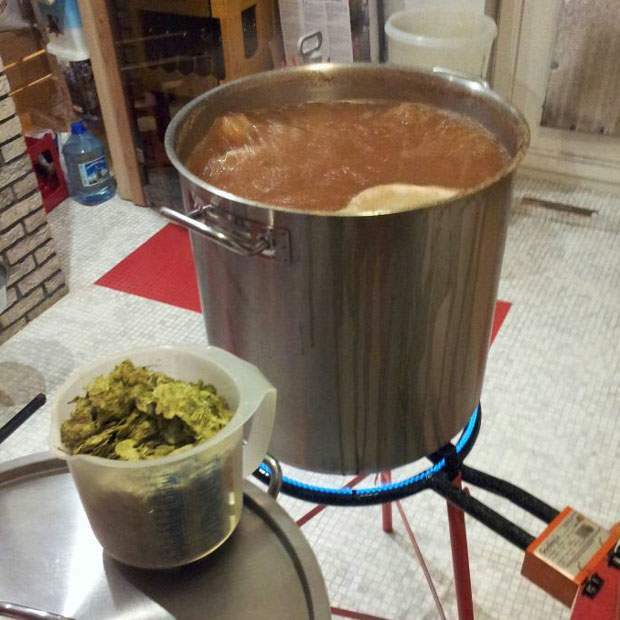 Beer kits were quickly replaced with malts, hops, and yeast. Business trips to London now included a short train ride to Aldershot to stock up on hops and yeast. Then there was the “Great Beer Guide” by Michael Jackson. And definitely there was the moment when I understood that malts, hops, and yeast were buddies of mine that I could combine to produce flavors that, so far, existed only in my head. 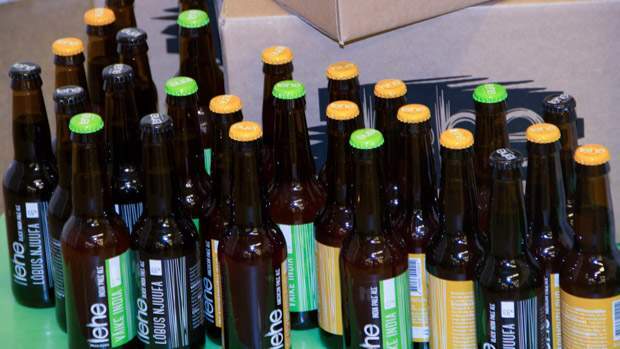 At the beginning of 2013, it was clear that the craft beer wave had reached Estonia. It was a now-or-never moment. Building a craft brewery from scratch requires far more than a handful of recipes, enthusiasm, and a big dream. Fortunately for me, by that time the craft beer world also had charmed Gristel. Her experience of creating a business plan and executing complex projects moved our brewery project from a hazy dream into a clear action plan. In August 2013, we signed a lease for our premises, and the long wait for our brewing equipment to arrive started. Meanwhile, we had to understand how to establish an excise warehouse, get approvals for safe food production, officially certify our process for measuring beer amounts and alcohol content, understand how the Estonian alcohol registry worked, figure out the bottle recycling system and few million more details we needed to start brewing beer. 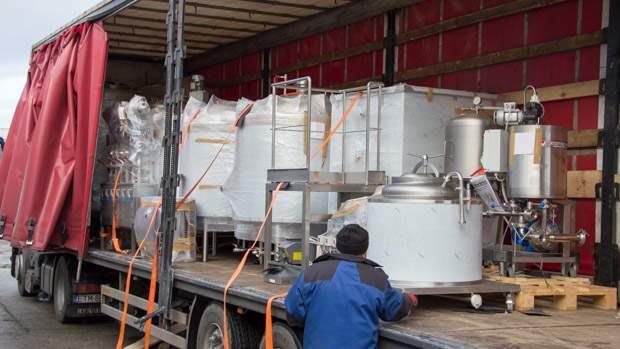 In November, our brewing kettles arrived, together with two craftsmen who turned a pile of stainless steel pipes and vessels into a working brewery. In December, we got all the necessary vessels officially measured and certified, and by January we had all our permissions and permits signed and sealed. In February, we brewed our first three beers. None of these left our brewery. Getting used to making bigger batches and the brewing equipment took its toll, and they did not turn out quite as well as wanted them to be. We decided that they deserved a better attempt, dumped them, and brewed again. By March 2014, we had overcome all the challenges of opening a new brewery, and three of our beers were ready for sale: “Blackmouth Cur”, “Jolly Newfie” and “Little India”. Needless to say, that was one happy day for us. Our initial plan to start slowly didn’t work out. Plenty of craft beer fans appreciated our brews, but we didn’t have enough beer. Several times, a customer was left waiting at the end of bottling line to grab a box of freshly bottled brew. To avoid disappointing our craft beer aficionados, we had to expand our brewing capacity quickly. We needed both stainless steel tanks and brewmasters with nerves of steel. Fermentation tanks took over our brewery’s free space like the Roman legion, line after line of shining steel. 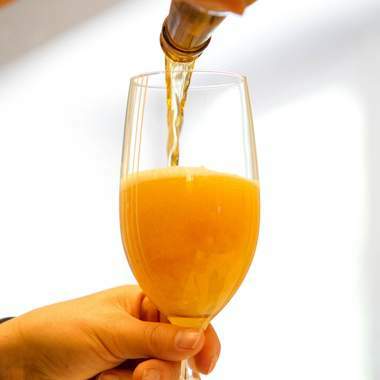 Our fermentation capacity kept growing – from 30 HL to 90HL, then to 150HL and then to 210HL. We got a new bottling line from the US and a labelling machine from Italy. We added extra mash tun so we could brew multiple batches every day. We doubled our cooling system capacity and got a new, much faster, malt mill. Twenty-four hours per day was not nearly enough time to get it all done. And our team grew, too. Erki has been a cornerstone of Lehe Pruulikoda from the very beginning. His keen eye and sharp attention to detail have been behind every batch of beer we’ve brewed. With growth, more great people found their way to the brewery: the labeling-machine whisperer Liis; microbiologist Mati; and stainless steel wizard Tanel. In the office, Livia and her Italian corsos keep all the paperwork in order. In 2016, our brewery expansion finally caught up with the demand and had enough capacity to brew some of our more experimental beers, for which our customers have been patiently waiting for more than a year. We brewed the devilishly sweet and strong “Devil’s Dessert” and “Kiss of The Succubus”, a hop-free beer with raspberries and peppermint. We also had opportunities for collaborative brews. With Ruosniemen Panimo from Finland, we brewed beer inspired by the Baltic Sea. “Keri Saarele” was salty gose, brewed with sea salt and juniper twigs. With Vasileostrovskaya brewery from St. Petersburg, we brewed the historic imperial stout “Ravnodenstvie”, which we flavored with Madagascar vanilla. Together with St. ERHARD, we brewed barleywine using fresh Estonian-grown hops. We kept exploring in 2017. 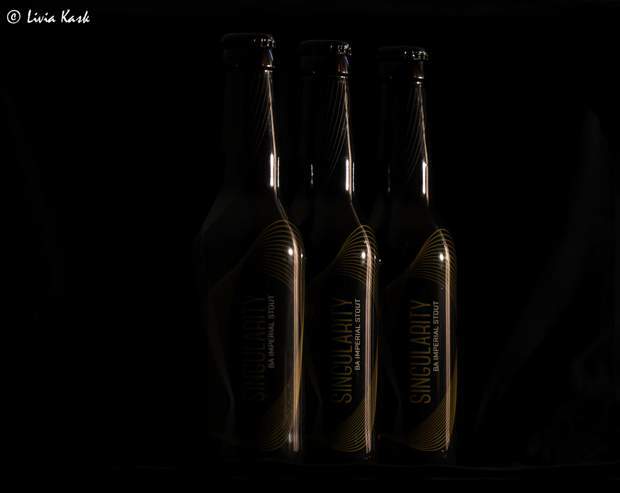 With Anderson’s Craft Beer, we brewed one of the first New England IPAs in Estonia - “Einstein.” And finally, our barrel-aged beers were ready: “Singularity” is an 18% ABV sweet and chocolaty imperial stout aged in a bourbon barrel. We also released the rum- barrel-aged doppelbock “The Jaunty Rottweiler” and a double-IPA, “The Sun Also Rises”. We created the biggest spread for the alcohol content of the beers – from 0.5% ABV in “Are you Free Tonight?” to 20.0% ABV in our quintuple IPA “Übermensch”. Was there anything else we did in 2017? Yes! Beer made of carrots – check; beer meant to be drunk hot – check; double ice-distilled beer – check; chili pilsner – check; beer with hops grown in Estonia - check. We come to work every day to learn something new. To invent something and to brew something new. We are not done. We have not even started yet. We have an insatiable curiosity to know what lies beyond the horizon. Every answer brings three new questions. Every beer brings five new ideas. We’re happy that you happened to read our story. We salute you! We raise a glass of beer to your excellent taste – as without you, dear craft beer fan, there would be no Lehe Pruulikoda.